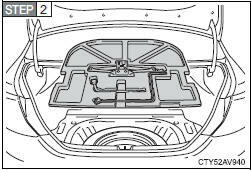 Remove the luggage floor cover and spare tire cover. 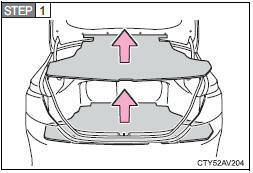 Loosen the center fastener that secures the spare tire. 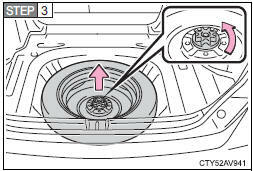 When taking out or stowing the spare tire, make sure to firmly hold opposite ends of the tire.